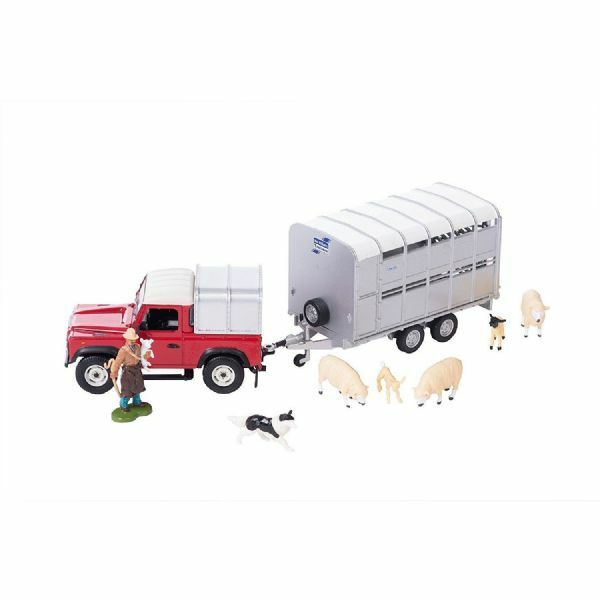 The Britains Land Rover, Sheep Trailer and Sheep really bring any countryside scene to life. The Land Rover Defender 90 has a detachable canopy, spare wheel, chunky treaded tyres and superb interior detail. The tow hitch is compatible with other 1:32 scale authentic replica plastic farm vehicles and machinery. The livestock trailer's tailgate raises and lowers for easy loading. Set includes 3 sheep, 2 lambs, a shepherd and his sheepdog.